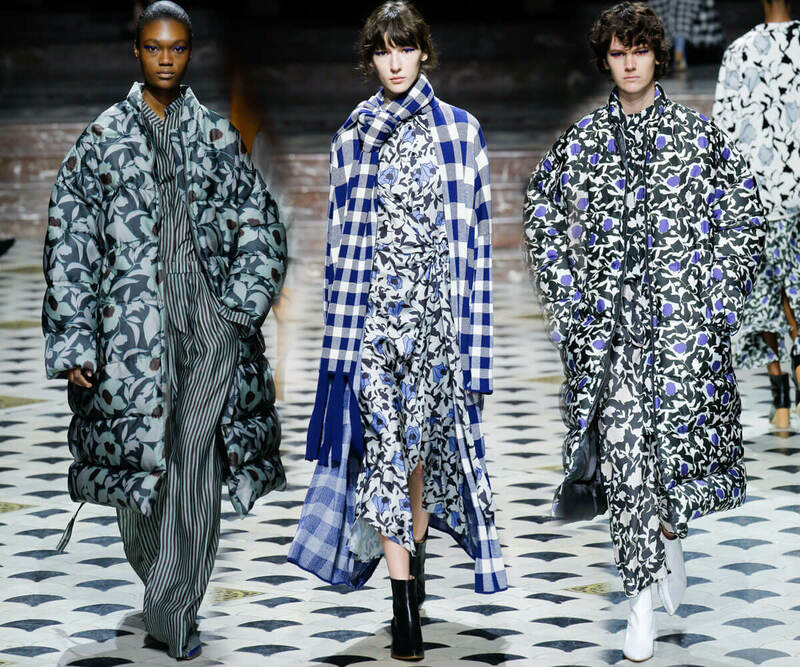 Known for his ceramic-inspired prints, Christian Wijnants delves deep again into Persian culture to create modernized floral designs for his latest A/W 18 collection. 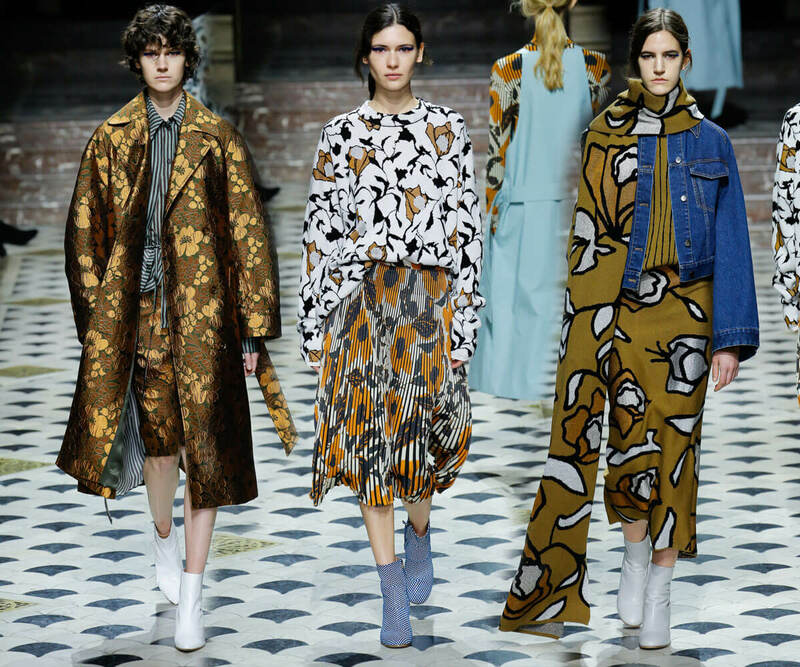 Blown out, over scale foliage creeps up garments while delicate painted blooms cling to puffer coats to create statement pieces. Floral prints are paired with stripes and plaids for a contrasting effect that gives a nod to traditional winter patterns. The refined palette of mustards, blues, and porcelain greys keep the designs in check. 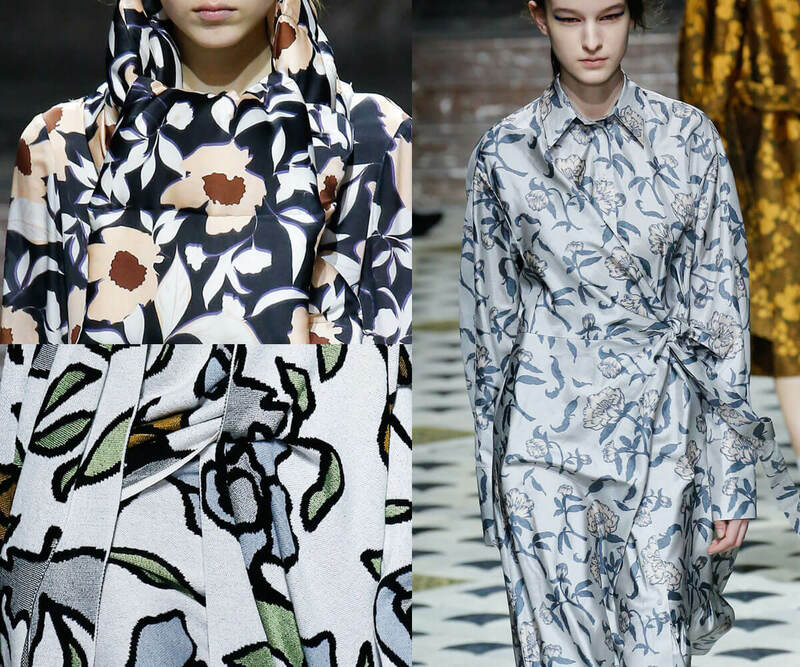 After the long winter season, we wouldn’t mind wrapping up in one of these coats to transition into spring.